Patient zero just told herself waiting one more day to change the litter box won’t make a difference. What else? I know I’ve missed some. Chinese food, eaten one day too late. Paper cut from a free, independent newspaper picked up at that weird head shop with the velvet Jimi Hendrix painting in the window. And that is an awesome book, by the way. I have no idea how it will translate into film, however. Me, neither! If Brad Pitt is going to “star” in it, would he be the interviewer? That guy doesn’t actually do anything. Ohhh, wait, here’s the IMDB summary of the movie: “A U.N. employee is racing against time and fate, as he travels the world trying to stop the outbreak of a deadly Zombie pandemic. ” I would think it would have worked better as a large ensemble cast. There’s so much good stuff in that book, it will be a real challenge to completely ruin it, and would be a shame if they did. Wait – stop the zombie pandemic? did the screenwriter even read the book? Exactly! I was thinking that they could basically unfold the events chronologically and “during” the crisis, but that would eliminate the U.N. interviewer all together. Yay! World War Z is in my top 10 list. I thought it was an amazing book. At first I felt there was no way they could do it justice in a movie, but I have high hopes for Plan B Entertainment!! Oh, agreed. Jeggings are bad. Yeah, I’m gonna be sad when I finish reading it. I’ll be there opening weekend, for sure! All three are definite possibilities. Totally on Kristen Stewart. She is already a zombie, but just a really lazy and lethargic one. She just doesn’t have the energy to eat brains yet. Keep an eye on that one. 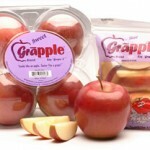 What the hell is a grapple? It looks like an apple, tastes like a grape. That’s an abomination. Someone invents “Lethargy Juice” (Brand name: Sleepy-Time Cow”) as an antidote to Red Bull and it just escalates from there. Subliminal messages implanted in the Superfriends series reboot (you can’t prove it isn’t coming! ), put there by our alien overlords. I can attest that watching an entire episode of Super Friends creates a zombie like state in an adult brain. I’m assuming cherry flavored Dr. Pepper. I mean come on that’s like having grape flavored strawberry cheesecake. Ah, yes, flavors upon flavors, that’ll do it for sure. We did survive bicycle shorts as regular clothes back in the late 80s/early 90s, and that’s the only reason I think there is a chance we may ride this one out, too. Or, we were lucky once and it won’t happen again. It’s probably at least partially the reason they’re so detached, as well. Just not enough oxygen to care. That guy in the unitard who makes O-faces as he does yoga in the corner of the weight room at the gym. What about those monsters on Toddlers and Tiaras going all Hannibal Lecter on each other? That show is terrifying. Yep, I could see that happening. Those dressed up children seriously scare me. I’m totally with you on the skinny jeans. 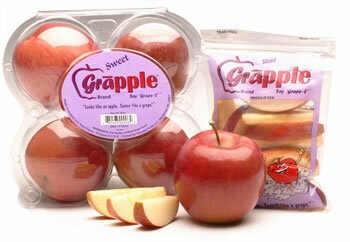 And the Grapples…those things scare me. Why would someone do that to those fruits? It’s like they were playing God, and I’m sure we’re going to suffer the consequences. Well, your a fruitist in general, so it doesn’t surprise me that it extends to grapples. Maybe if they combined chocolate and apples you’d be more open to it.